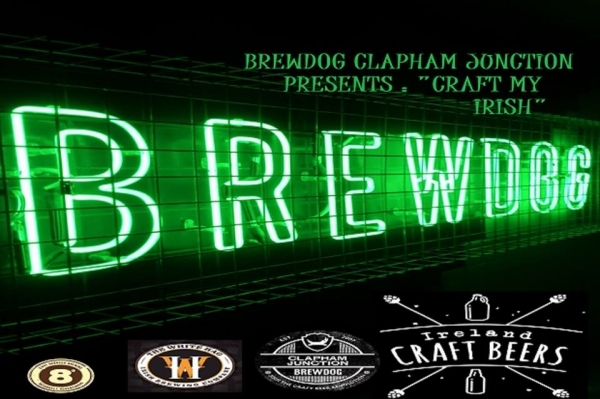 On St. Patrick's Day, 17th March, Ireland Craft Beers will be co-hosting an Irish Craft Beer Tap Takeover at Brewdog, Clapham Junction. On tap that day, both White Hag Brewing from Co. Sligo and Eight Degrees form Co. Cork will be there pouring what they pour best! For more info on this event, check out Brewdog's offical Craft My Irish page. If you fancy going, they also have a Facebook Events page here. Please contact us if you would like any additional info!